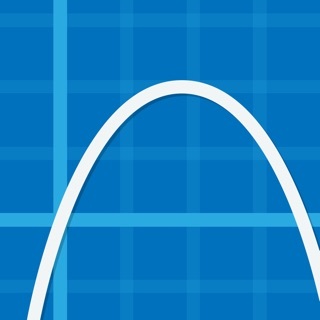 - Data plotting and curve-fitting. 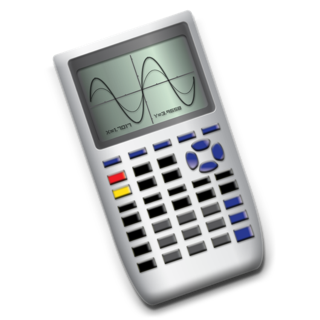 - AutoSquare keeps your graphs from getting squashed as you zoom or enable helper panes; or disable it in General Settings so you can scale each axis independently by pinching horizontally or vertically. 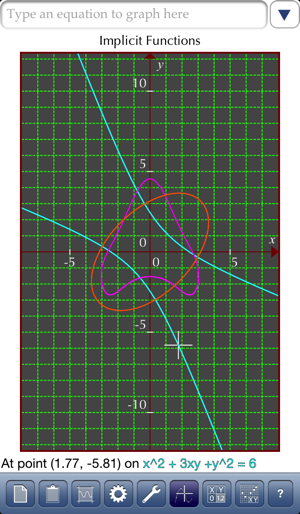 - Print your graphs, copy to clipboard or export to Photo Album. 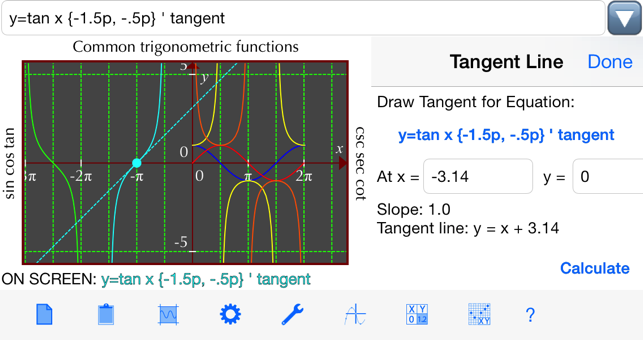 - Share graph documents with friends or Graphmatica for Mac or Windows via email or iTunes. - Online help and demo files make getting up to speed a snap. 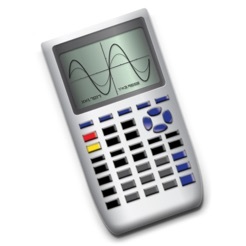 Fix application hang when trying to display the equation error popup on iOS 7/8 in versions 2.3.6 and 2.4.0. 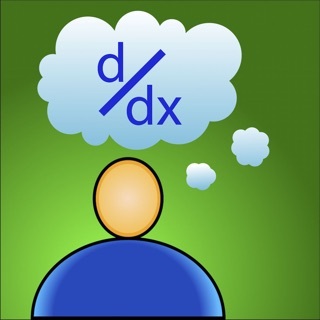 I have used Graphmatica on a PC for years to teach college level mathematics and statistics, and it is a great teaching tool! 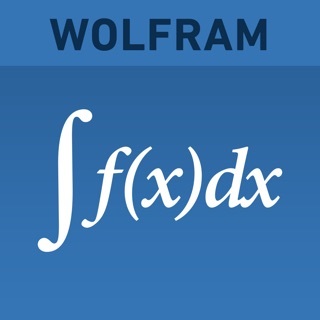 I am excited to be able to use it now on my IPad because my school is pushing this technology and I know this app is easy and effective for student use in all levels of Statistics and graphing all the way through Calculus. I have used it for years. If you only have one, this should be it. 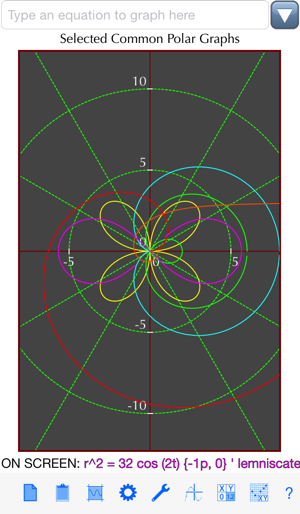 My job involves lots of engineering math, but I also enjoy just playing around with graphs. 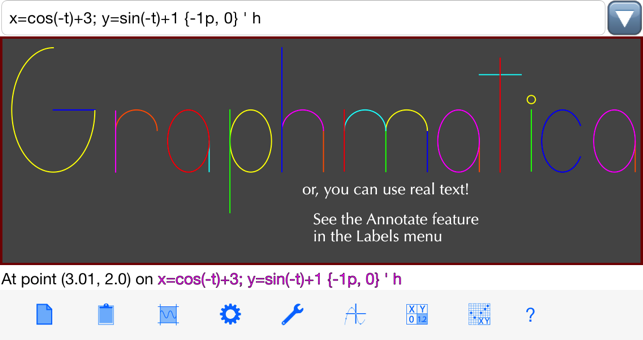 My favorite math toy is now iGraphmatica on my iPad 1, as I can take it along with me for casual equation fun. Not only am I having a good time with it, but my coworkers enjoyed it when I showed it off at lunch. For my usage, the feature set is good and the price is great.